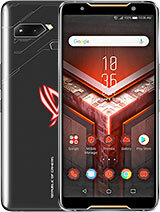 This phone are truly hidden gem, not so much publicity but for those in the know, this phone is really great. 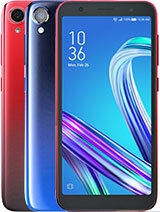 the phone itself have enough horsepower for a poweruser, 2GB, 16GB, LTE, microSD, 4K recording, superb back camera, everything a high end phone has with fraction of the price. no gimmicky feature such as dedicated fitness tracker though. the size is right also, and if you happen to have the tablet dock, then it is a whole different game that, functional wise, not even S5 can match. How many SOT you can get ? and how long it takes to charge? muiqra, 18 Mar 2015Guys, I'm still confuse what to choose between Padfone S and Zenfone 6, both are awesome. Zenf... moreIf you don't care about 2 simcard slots, I suggest Padfone S because it use snapdragon 801, so performance is awesome! Battery is less than Zen6 but in my experience, it not bad, it need to change only 1 time/day. I lost my Xperia C and bought this. Has been used for 3 weeks. I'm very satisfied, no lagging, flawless graphic, sharp display color, handy. The battery life is worse than Xperia C, but still not bad, it is charged only once a day. I just bought this phone without dock, and it's awesome! The price is worth it. 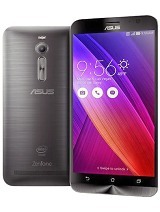 It looks like high-end smartphone (which price is nearly twice than this), both the display and specifications. Too bad the battery is so small (2300mAh). Overall this 'superphone' is really good. 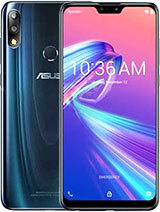 Guys, I'm still confuse what to choose between Padfone S and Zenfone 6, both are awesome. 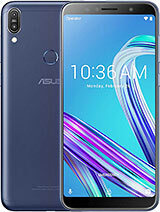 Zenfone 6 already has huge battery capacity with 3300 and dual core CPU 2.3Ghz while the Padfone S has better display, camera, CPU, and so on but the battery is smaller. I experienced bad with the battery on Padfone 1 right now which was lavish. Is there anyone have opinion and suggestion about it? Have anybody experiencing difficulties in getting the LTE Signal? i already used the LTE simcard, i tried to switch another number LTE Simcard. i already tried to enter Engineering mode to select LTE only ( forced ), but its stated "unknown". 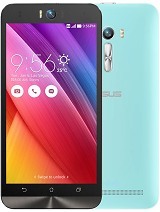 the choice was GSM only, GSM Auto(PRL), WCDMA only, and "unknown". is there any certain patch to solve this kind of problem? i buy this phone on 6/3/2015..really amaze with the phone performance in doing multitasking work and capturing a beautiful pictures. but the only main reasons why i really disappointed with this phone is the battery..
1. The phone doesn't lag at all, compared to my friend's Note 3. In tablet mode, it still doesn't lag so that's good. However, when changing into tablet or into phone, there is a bit of lag but it only last about 3 seconds. Also, some apps might be affected after changing from phone to tablet and vice versa. Examples like Facebook. When changing into tablet, the fonts looks smaller. This is solved by restarting the apps. 2. Phone heat is kind of a problem. When exposed too much of the sun, it feels kind of hot. I usually place my phone in the pocket. This problem however doesn't really affect the battery life significantly. When in tablet mode, it doesn't heat that much compared to the phone mode. 3. Battery life is good for daily use like internet, social media, camera, video playback. 100% to just 34% for the whole day. However, for gaming, i have to charge the battery twice a day, starting from about 10%. In tablet mode, for gaming, the battery life is better. 4. The phone itself is not really heavy, but in tablet mode, i feel it is quite heavy for daily use. 5. The back cover of the phone feels plasticky, and i have dropped mine for a couple of times and i found there's a bit of a dent, so accessories that protects the back of the phone is needed. However, the metal sides seems to be just fine, no scratches in mine so far. 6. 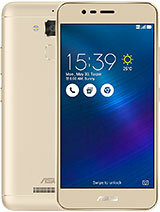 Availability of ASUS phones, except zenfones, are quite difficult. I even bought mine online so this is quite annoying. The availability of the service centers are quite difficult to find as well, so tread with care. 7. Availability of the accessories are difficult as well since not many stores sell accessories for padfone s, either the phone or the tablet. They are available online though. 3.Standby time and calling time is great. The battery only drop 1% for 20 minutes talktime. 4.Screen is vibrant and punchy with great viewing angle. 6. 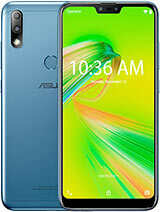 Asus support and zen ui update is frequent. 2. Battery life when playing game is only medium. My suggestion go for Xperia Z3. so which phone should i get?thank you! ChoDockZ, 27 Feb 2015Using this phone since last week.. Screen : good Body : slippery back cover..must add extern... moreI have use it for 2 months and for activate screen I used smart screen, but sometimes if my hand covered proximity sensor and make it turn off. I already give delay 1-2 sec for turn off to avoid accidently turn off.